Drawing examples from a wide range of African cultures, this ground-breaking book expands the continuing discourse on the aesthetic and cultural significance of cloth, body and dress in Africa and moves beyond contextual analysis to consider the broader application of cloth and dress to art forms in other media. 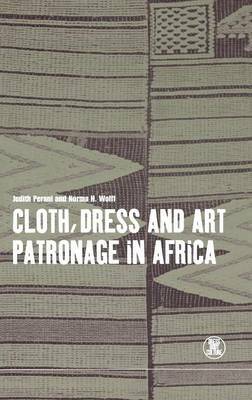 In blending the concerns of Art History and Anthropology, the authors focus on the art patronage systems that stimulate production, consumption, commodification and cultural meaning, and emphasize the overriding importance of cloth to aesthetic and cultural expression in African societies. Through this approach they reveal complex processes that involve a series of actors, including textile artists, commissioning-patrons and consumer-patrons, all of whom shape cloth and dress traditions. These individuals not only influence production, but are a key to understanding the cultural meaning of cloth and dress and, by extension, the body in Africa.